If you haven’t set-up Qt with OpenCV yet please visit this article. Type whatever you like. 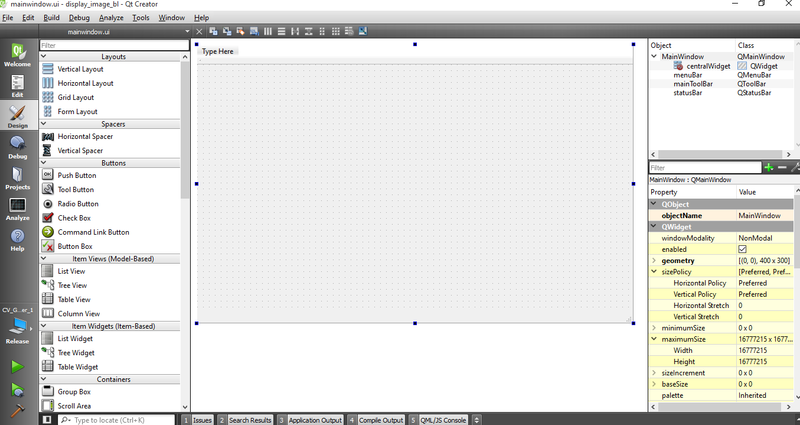 Now drag another label resize the box to at least size where we can display image. And change the name of the label to lets say ‘display_image’ under objectName from the right bottom menu. 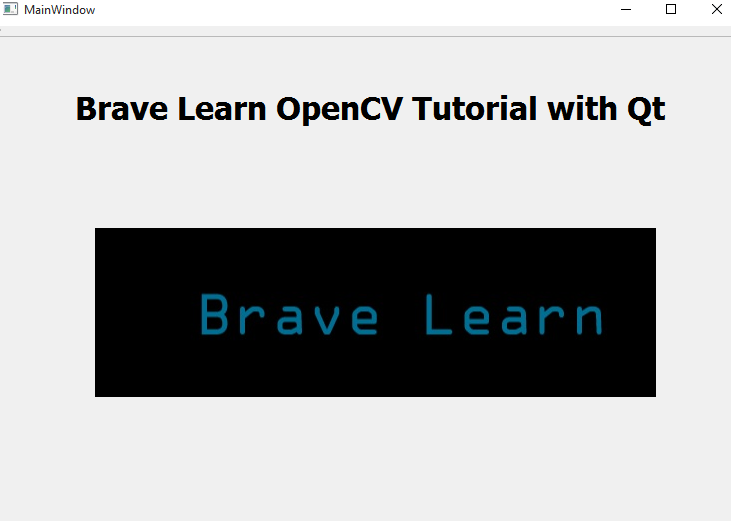 Don’t forget to add “using namespace cv;” as we will be using OpenCV libraries too. Don’t forget to run qmake first otherwise your configuration won’t be loaded.